This unique and very quiet location offers guests plenty of privacy. On the property there is a pond that is 1.80 metres deep. The spacious living room has direct access to the covered terrace with garden furniture and chairs. There are several seating areas in the garden where you can relax and enjoy the beautiful views. 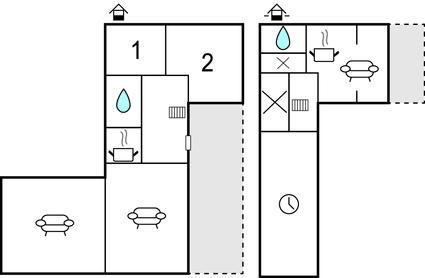 Two bedrooms, a modern bathroom with a bath tub and a small but efficient kitchen are located on the same floor. An indoor staircase leads to a separate apartment which is located on a slightly lower level. It houses the second bathroom, a spacious kitchen and a conservatory with seating and sleeping accommodations for two people. From the conservatory you have access to the terrace and the garden. The house is located in a beautiful conservation area, 8 km away from the charming and lively city of Bad Münstereifel and about an hour's drive away from Bonn and Cologne. This beautiful area is ideal for walking and cycling. The reservoir of Steinbach located near the house is ideal for swimming and fishing. A mini golf course, a restaurant and a nice playground are also located by the waterside. This beautiful house is made from brick or stone and was originally built in 1959 and refurbished in 2006. The agent has rated it as a four star property so it is a well-equipped house with above average furnishings. It is also great value for money. The houseIt is located in Kirchheim, only 10km from Bad Münstereifel. The nearest airport is 50km away. 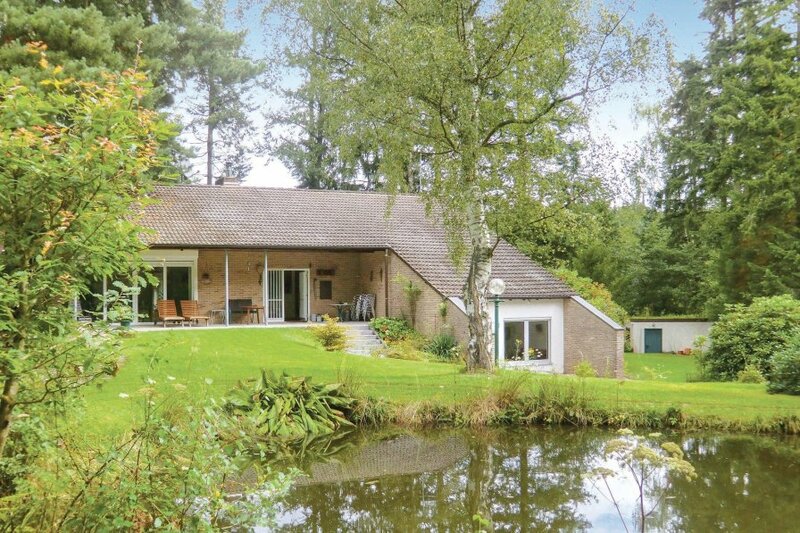 It is set in a very convenient location, just 800 metres away from a lake. There's also a restaurant only 800 metres away. The house has free wireless internet. You can also park on-site at no extra charge. The house is well equipped: it has a refrigerator, washing machine and dishwasher. It also has a barbecue, a garden and some garden furniture outside.